Yesterday, I asked if anyone was interested in sharing their plans for early retirement. TL Black, whom you may know from the comments on this blog and who blogs on The Simple Life in France, was quick to respond, and so here is her story. In 2006, we made $100,000 a year and spent $30,000 or about $2,500 a month. Our goal: to buy house in the French countryside in three years, cash. I wondered if I could survive three years. The pressure of my career compounded by the increasing philosophical dissonance I felt at work made me sick—literally. When you spend 60-70 hours a week working and your spare time at the doctor’s trying to deal with stress-related illnesses, your are on borrowed time. We’d already figured out that the extra money and consumer benefits couldn’t make us happy—or even distract us from our misery. We’d long since cut way back on eating out, shopping, and keeping lots of crap around. Every day, I had a harder time justifying our lifestyle. In January 2007 I just snapped. I told my husband I was going to look for a much less stressful job—I found one very shortly and took a significant pay cut. My husband values my health and happiness more than his dream of a big house, so he supported my decision. “Why not move to France now?” That was his response to my third-life crisis. For years we’d been putting off returning to DH’s home country because of the money my career brought in—and, frankly, because of my need to identify myself as a ‘professional’ and a ‘hard-worker.’ Well, to hell with all that, is what I finally decided. We gave our notice, sold our stuff and moved back overseas. Our financial plan now that we’re over the ‘big house dream’: retire ASAP. Use our current savings (thankfully in Euros!) to buy a small home within the next few years. I vote for buying ‘cash.’ DH votes for taking out a loan that would lead to expenses no more than 650 euros a month (our current rent), so we can afford a place with some land. Given the current state of the global economy and environment, having your own land for growing food sounds wiser all the time, but we’ll see. Take advantage of my time without work to rethink the way we spend money. This is a project I’ll be working on full-time for the next few months. Our initial goal was to make it on only my husband’s salary. We did this easily in October even with a 300 euro “fun” category. Our next step is to start saving on DH’s salary alone. Within 6 months, I hope to have us saving 500 euros a month and closer to 800-1,000 euros a month in a year’s time. In the next year I hope to find an income source of about 800 euros a month. Why so low? So that I can afford to do something that won’t make me wish I were dead—perhaps even starting my own business. If I can make more without becoming a miserable human being again, then I’m not against that either. Assuming we keep expenses low, and that I find an income source in the near-future, AND assuming we continue to be able to make a 4% return on our investment* we’ll need roughly 300,000 to retire with1200 euros/month. That’s slightly less than what we can get by with now because we won’t need a car anymore once we’re no longer working. IF DH agreed to buy an apartment ‘cash’ housing should cost us no more than 200 euros a month (we’ll need some money for taxes and maintenance). We ought to be able to retire in 10-12 years. If we decided not to buy at all, I suppose we could get there even faster, but DH doesn’t like that plan for now. I say, let the man have his dreams. He compromises with me a lot. *We’re not the savviest investors, just lucky so far. We need to learn some new tricks. 19 users responded in " Waking up from Big House Dreams: our crooked path towards early retirement "
Good stuff. Thank you for sharing. I have lots of fun fixing things up and making money on the side. I think you can safely assume you will still have some income in “retirement”. Without a car or work to keep you busy, what will you do at home all day? What is the French health care system like? In the US the big fear I have about quitting my day job is getting sick. Health insurance is not priced for the frugal minded. Healthcare in France is superb. Not like our primitive country where everything is for the corporations that pay for the political process, which is basically running expensive ads on TV. Rent the movie “Sicko” to find out more. Here the game is to keep the people scared by the word “socialism”! P.S. An American friend was hit by a car while walking across a street in the South of France. His care was marvelous and very inexpensive. “We have the best government money can buy,” Gore Vidal. Am I the only person noticed the ads/sponsored links? Ads finally came. Hooray! Jacob, please update us the results. I did some clicks and I thought everybody loved the blog ought to. This is the least we can do to help. @tlblack – Have you considered online tutoring? It pays around $10/hr depending on the “level”. It’ll probably also be possible to tutor someone in English in France. @AlexK – I was about to agree that it’s hard not to make some money when you have all day off. 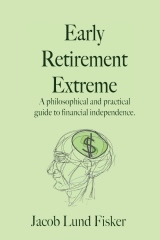 However, I also think that not everybody do valuable/productive things by default, in fact, it seems that many “retirement” options or spare time activities cost money. @PC – You’re the second one. The first one was a complaint :-). So far, the income is “about 8 beers”. Alex–funny, on my blog, I’ve decided to have a section on ‘what do you do all day.’ I’ll develop it later, but the question gets raised all the time. I do find myself spending lots of time scheming, building and creating stuff–even though I’ve got an unfinished novel and a sweet bike to explore the French countryside(free DH’s parents just retired from owning their bike shop!) I’m sure it will be hard to avoid any income at all, but I like the thought of not being ‘required’ to work. As for French health care . . .when I first spent a year in France about a year after college I fell in love with it. I’d spent time uninsured and underinsured in the US and always fearful of having an injury or what not. Here, even though I don’t use it a lot, I know it’s there. And I find that the French doctors look at your health first–they don’t put off tests, exams etc. They don’t send you home with a week’s worth of pain-killers to see if it will just go away, they try to find out what’s wrong pronto. I love it–and it really helps us be frugal. In the US, we knew that no job=no health care. Very precarious. Jacob–thanks for the writing ‘assignment’ it was a fabulous mental exercise and it’s got DH and I thinking in much more concrete and creative terms about our future–he’s been skeptical, but he’s even getting excited about it now. As for online tutoring, a friend of mine just mentioned it to me yesterday too–sounds worth checking out–even as my own business! And yeah, teaching English in France is something I’ve done before–it pays strangely well. The French are great at some things but they are horrible at teaching languages, so I can really rake in here–I just have to get set up. Interesting post, tlblack! I didn’t realize you hadn’t retired yet. I was about to suggest teaching English as a job, but you already found out. I fully understand you’re fed up with stressy 60-hour weeks (so would I be) but there should be plenty of 35-hour ‘full-time’ jobs with little or no stress in France. So you may have more options than you may think. @retirebyforty – Check out her blog (link at the top). I guess she must have shut her blog down. That’s too bad, hope it went well though. She had a baby and couldn’t get back to blogging. Interesting post! It shows there are many ways or paths to your goal. We all need to find our way to our goal. Inspiration post, I think from time to time we all have to evaluate whats important, this could lead to a welcomed change to our goals. Great post, I hope everything goes as planned. When do you throw in the towel? I was reading the post and realizing that the path behind you, is what lies ahead of me. I’m currently at a job that pays well (or at least above avg), but stress is more than I can handle. With this job i can save 60-70% and retire in 7-10 years, or i can find a new one, less stressfull, and save 30%, retire non ERE style, but save myself the gag reflex every time i wake up. Any advice? @MikeG – I can say when I throw in the towel. I have never considered retirement a goal or a race (if you do, you will likely find reaching it somewhat of an anticlimax). I rather see ERE as a lifestyle one reaches with some effort and a set of principles to live by. In that sense, I tend to throw in the towel after about 1 year of frustration with a given situation. I figure I should give anything this long to see if it is just a temporary issue. That is to say, I’m willing to deal with the figurative (I hope) gag reflex for not much more than 1 year. Having been there and done that, I would also say that as long as there is no permanent damage, e.g. a terrible job that causes a lasting depression, once it’s in the past, it will mean much less. That’s the attitude of “serving time”. If that is the choice be prepared to spend some time dealing with the stress damage even after you escape the situation. Kinda like some spend years coming to terms with their ex-spouses, etc. A bad job is similar to an abusive relationship. It really comes down to how big a part of your identity your work is. Great post, it’s great to see what other individuals are doing to pursue similar goals as myself with achieving financial independence very early and quickly.